As I mentioned before, it’s not weight alone that matters, however you do need to keep track of your progress. Until I went looking for one a couple of weeks ago I hadn’t realised that there were so many different types to choose from! Why did I choose this particular one? I work in IT, so I like electronics gadgets! Measures weight, BMI (body mass index), body fat and body water. – if I can work out how to do that it will be useful … I haven’t yet! Can be used for weight only. 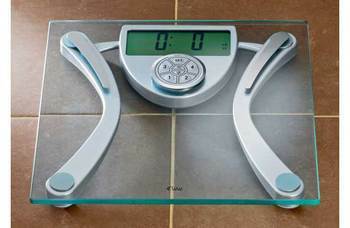 – it’s a weighing scales, so it would want to be able to do that now, wouldn’t it? Records and displays start, last and goal weights. – very handy – though I still haven’t worked out how to get that working! The next “trick” is keeping a record (though the scales does that for you anyway)I’ve been looking into several options for this, but for the moment I think I’ll just use a spreadsheet, as it’s simple and relatively effective. Bmi (body Mass Index) – What’s Your Healthy Weight? Wii Workout: Shaping Up From the Couch? If you’re trying to lose weight it’s tempting to think that not eating is a solution. Changing what you eat, how you eat, how much you eat etc., can all be positive moves in your battle with your waistline, but starving yourself is not a good idea. Skipping a meal will only make you want to snack or drive the urge to gorge yourself on convenience foods. Starving yourself is not a diet – it’s just a bad idea! It’s one of humanity’s strengths – we’re diverse in more ways than one! Bearing that in mind when it comes to the ideal weight then it’s obviously not as simple as some might think. If you are a broad shouldered giant you will be able to carry a lot more weight than a lanky beanpole! The simplest method for calculating ideal weight is via their BMI (body mass index) which basically takes into account height, gender and weight to come up with a figure. Based on that figure you can then see if someone is overweight etc., etc. If you want to work out your BMI then there are plenty of tools online to help you. You’ll obviously need to know your height AND weight to be able to use any of those tools! Who Is Desperate to Lose Weight Quickly? 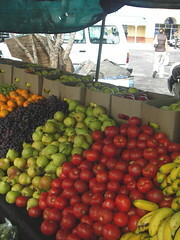 Fruit and fresh vegetables are a wonderful source of vitamins and other things that help your body. Unfortunately my Irish diet of the last couple of years probably wasn’t as rich in fresh fruit and vegetables as it could have been. Over the past few weeks I’ve replaced any and all snacks with fruit. The easiest fruits to eat are of course tangerines and apples. Dieting, weight loss and everything to do with the entire subject has been a hot topic and a massive industry for years. There are probably as many “wonderful” diet systems out there as there are days in the year and for every success story you can probably find several “failures”. The bottom line is that there is no “magic solution”. You can read all the books and watch the dvds, documentaries etc., etc., but if you’re looking for a quick and “easy” answer you’re probably going to be disappointed. One of the pearls of wisdom, if such a thing really exists, that I have managed to glean from looking into diets etc., is that eating properly helps. My grandmother always insisted on giving us three proper meals a day ie. breakfast, lunch and dinner. Of course, when you’re running about the place, oversleeping and generally end up with a messy, modern lifestyle, it’s all too easy to forget about the simple adages. You’ve probably heard that one many times in the past. I know I have. For the last few years I’ve almost entirely ignored breakfast. I’ve got by on cups of coffee with either croissants or that “wonderful” Irish invention – the breakfast roll! A few weeks ago I decided to make a change in my lifestyle. I’d previously been trying to avoid breakfast rolls and had moved onto croissants instead, which obviously wasn’t that much better. I had to stop, so I decided that I would make an effort to have breakfast of some kind every morning BEFORE I left the house. I’d love to say that I’m tucking into grapefruits and all sorts of weird and wonderful healthy items at 8am, but the truth be told I’m not. I’m simply making myself a pot of fresh coffee and having some toast (or cereal) while listening to the morning radio. I’m not 100% sure as yet, but I definitely feel more energetic and less lethargic for most of the morning, which is a good thing. Obviously if I eat better food for breakfast ie. avoid the toast entirely it would be better for me, but it’s probably better to take things one step at a time. I’m not 100% happy with my weight at present, or more precisely, with my waist size. I’m in my mid-thirties, so I know that if I don’t do something about it now it will be even harder to rectify later. I’m not going to go on a “crazy diet” or try to run a marathon. I know damn well that trying to do anything extreme is not going to work for me, so instead I’m going to focus on making small changes to my lifestyle that will hopefully help reduce my waist size. I’ll be the first to admit that I’ve never been thin, but over the last few years I’ve gone from being a bit heavier than some to being overweight. I work in IT and sit at a desk all day long and my lifestyle in general hasn’t helped matters. So now I need to change. Let’s see how we get on!